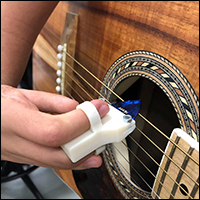 Small multidisciplinary teams of makers and a need knower worked to create a low-cost assistive technology to help improve the quality of life of the need knower. 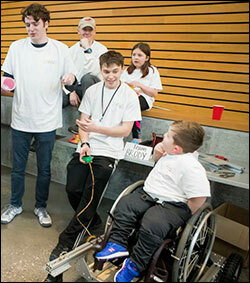 Maker teams included undergraduate and graduate engineering and non-engineering students, professional designers from the Nashville area, occupational therapists, while need knowers are the individuals living with disabilities, caregivers or professionals in the field. 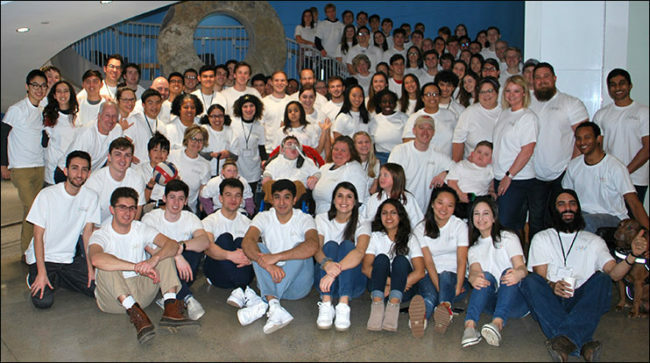 Projects are submitted by application to TOM by or on behalf of the need knowers. 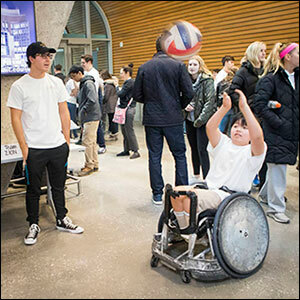 The assistive technologies developed at each TOM event are uploaded to an open source database available worldwide. 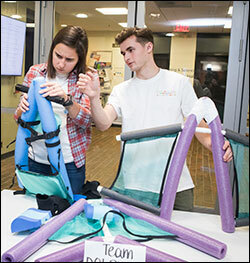 This was TOM:Vanderbilt’s second makeathon and Zion’s second time (Team Zion 2.0) to participate. It was Linden’s first visit to Vanderbilt and to Nashville. Linden and his mother, Lisa, traveled from Honolulu, Hawaii, for his TOM project, and both hope to return in 2020. 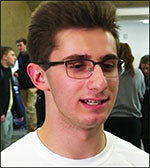 Next year, Linden probably will be a maker instead of a need knower. Zion and his mother, Heather, hope to return next year, too, but it will be a quick trip. Their family lives in Franklin, Tennessee. 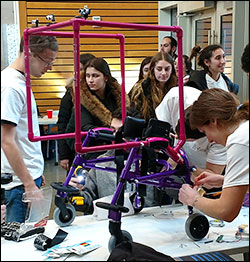 Team Abigail added a frame and brake sensors to a walker for Abigail, who is blind, deaf and nonverbal. Team Jesse and Alex developed a customizable application to help a nine-year-old make good decisions, like choosing foods to eat.